Did you know that many commercial furniture polishes contain ingredients that are known neurotoxins? Common products, such as Pledge, contain ingredients that can cause depression, damage to the central nervous system, and memory loss. 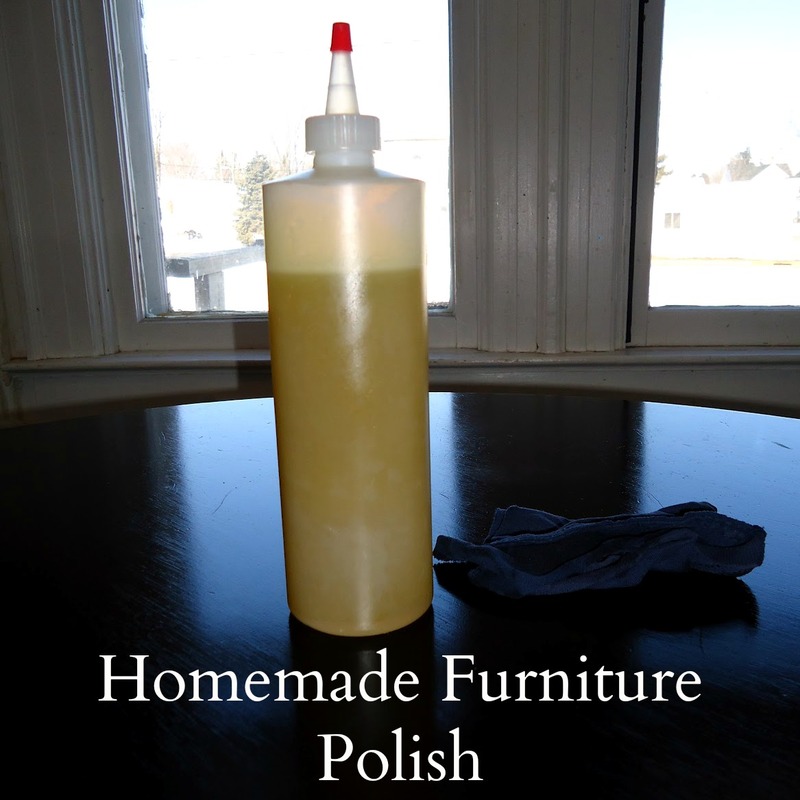 Do away with that junk, and make your own lemony furniture polish at home. Not only is it a healthier alternative, but it is very inexpensive and easy to do. In the past, I used a recipe containing oil and lemon juice. This recipe is good, but I found one that I like even better! It smells so nice, and it has a secret ingredient in it: alcohol. The idea with the alcohol is that it will evaporate, pulling up some of the oil with it, which will in turn leave less of a residue on your furniture. ...That's my theory anyway. You will need to infuse some oil with lemon peels before you mix this up. This is quite simple to do, so have no fear! Place lemon peels in a large jar. Pour in olive oil to cover peels. Be sure that the peels are completely submerged in the oil to prevent any molding. Cover with square of cloth secured with a rubber band. 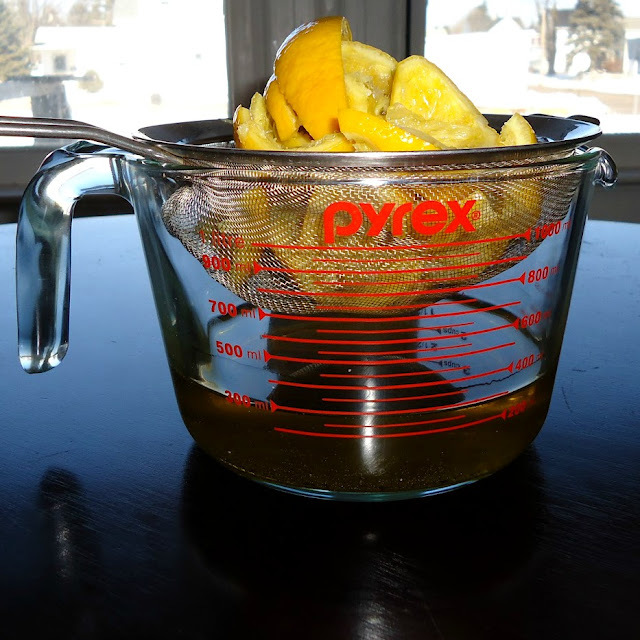 Allow the peels to steep in the oil for at least two weeks in a cool, dark place, stirring occassionally. Strain the peels out of the oil. You can toss the peels in the compost pile, and save the oil to make your cleaner. Now that you have your oil made, you can mix your furniture polish up. 1. Combine all ingredients well. Pour into a squirt bottle or oil sprayer . 2. To use, squirt or spray the cleaner onto a soft cloth and polish your wooden furniture. Still no mattresses for sale here. Thanks for this post. I am enjoying your site a lot.